Product prices and availability are accurate as of 2019-04-24 16:08:26 UTC and are subject to change. Any price and availability information displayed on http://www.amazon.com/ at the time of purchase will apply to the purchase of this product. Leaves less meat on the field, puts more in the freezer. This Larry Fischer designed everyday carry fixed blade knife has multiple friction grooves along the spine for optimum blade control and a stylish, multi-colored G10 handle. Together they serve one purpose: to get the best performance out of this blade whether in the field or in the garage. With the included high-quality sheath strapped to your belt, you'll be ready for any tasks your willing to take on. If you're looking for a knife that will turn heads when it's turning your tasks from rare to well done - the Hunt'N Fisch is the one to grab. An avid traditional Bowhunter, outdoorsman, and conservationist, Larry's no nonsense approach to all he endeavored was readily apparent in everything he did. As successful businessman and an outdoor activist, Larry served on the National Board of Directors for Backcountry Hunters and Anglers, Lifetime Member and past President of the Professional Bowhunters Society, past President of the Idaho Irrigation Equipment Association, past President of Treasure Valley Bowhunters, past President of Idaho Traditional Bowhunters, and active member of Traditional Bowhunters of Montana and Traditional Archers of Oregon. 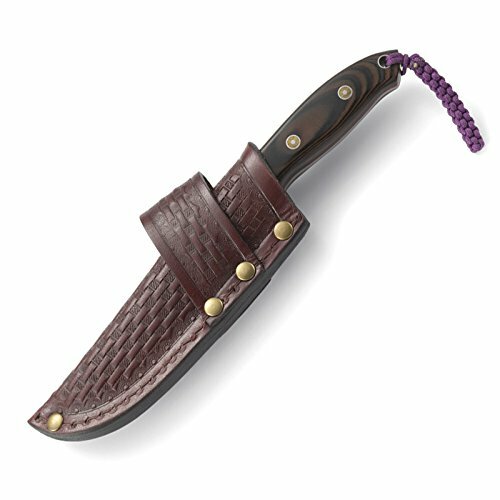 The distinctive leather sheath features multiple carry options. The sheath is designed to slide into the belt loop and rest horizontally to the side, to fit comfortably across the waistband. The knife handle is accessible and ready to be engaged to activate the blade for use. Sadly Larry lost his courageous 14 month battle with pancreatic cancer before his first design, the Hunt'N Fisch made it to the market. His useful, multi-purpose design lives on in tribute of Larry's active life and a testament to his design acumen. 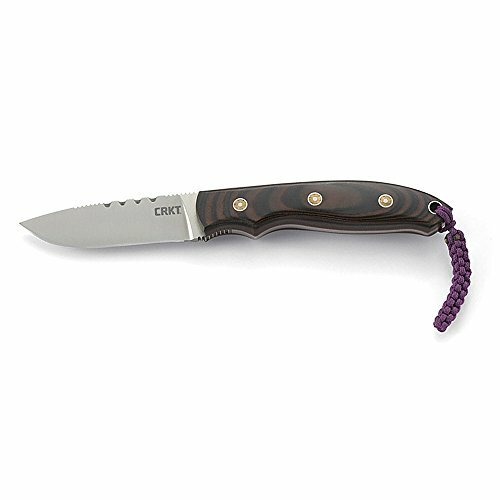 100% of the net profits of this knife go to the Pancreatic Cancer Action Network in memory of Larry Fischer.